This recipe for plum ripple ice cream with amaretti and white chocolate is so refreshing on a hot summer’s day. It’s also super easy to make. The flavour of the plums are highlighted by almond notes from both amaretto and amaretti. And the tartness of the fruit complements the sweetness of the white chocolate and cream most beautifully. Last month on Valentine’s Day, I received a surprise tray of stone fruit from Beautiful Country Beautiful Fruit. I felt the love. 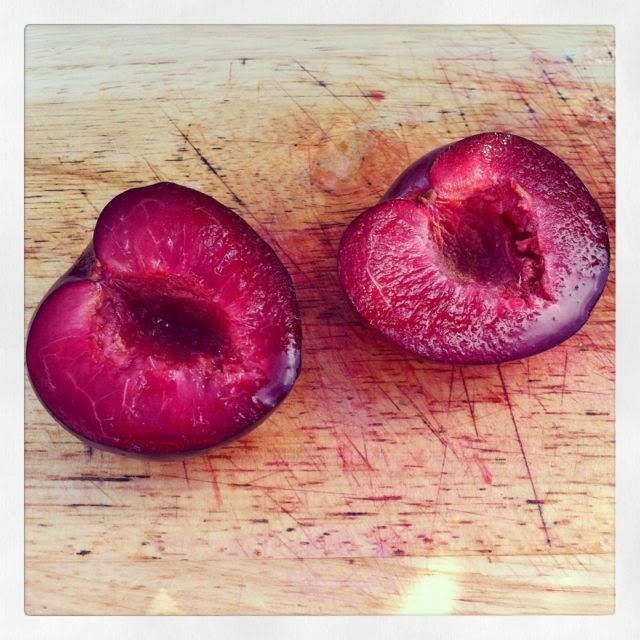 These colourful, juicy ripe and ready to eat plums and nectarines were most welcome after the months of excessive grey, rain and cold we’ve been experiencing this winter. They tasted of warmth and sunshine. With summer very much in mind and wanting to show off the fabulous purple of the plums, ice-cream was the first thing that sprang to mind. Just like cherries, I find that almonds go particularly well with plums. So inevitably, I decided to use some amaretto liqueur in the mix along with a few amaretti biscuits for a touch of additional luxury. Just look at the rich purple hue in the plum ripple ice cream before it went into the freezer. I used my my standard no-churn method for the ice cream. It turns out beautifully every time. Light, creamy and delicious. Rather than use sugar in my ice cream, I tend to make it with white chocolate and condensed milk instead. This makes it perfectly sweet enough, but also adds substance and flavour. The ice cream turned out just as I’d hoped. The fruit gave a welcome splash of tartness, cutting through the sweet cream and the flavour of both fruit and almond was well to the fore; the additional crunch from the biscuits gave added interest. I’m entering this into Dead Easy Desserts over at Maison Cupcake where any preparation has to be achieved within 30 mins. Despite cooking plums and melting chocolate, this is a simple dessert that can easily be achieved in this time if the chocolate is melting whilst the plums are cooking. You could even melt the chocolate over the cooking plums. Thanks for visiting Tin and Thyme. 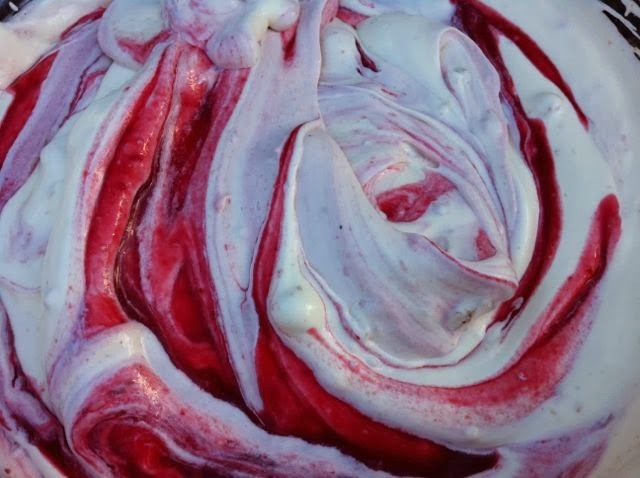 If you make this plum ripple ice cream, I’d love to hear about it in the comments below or via social media. Do share photos on your preferred social media site and use the hashtag #tinandthyme, so I can spot them. For more delicious and nutritious recipes, follow me on Twitter, Facebook,Instagram or Pinterest. 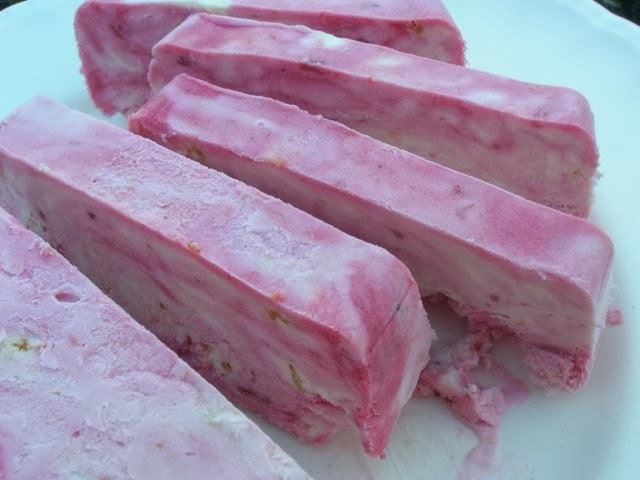 Plum Ripple Ice Cream. PIN IT. 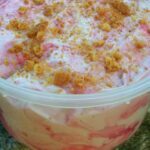 This is an easy to make no churn ice cream which is quite sweet so works particularly well with tart fruit. The flavour of the plums are highlighted by almond notes from both amaretto and amaretti. Chop the plums and place in a pan with the 2 tbsp water. Simmer until soft (about 10 mins). Leave to cool. Add Amaretto & blend to a puree. Melt the chocolate in a bowl suspended over hot water (make sure the bowl doesn't touch the water). Stir in 100g of the condensed milk. Crush 5 amaretti biscuits and stir in. Fold in the fruit mixture to create a ripple effect. Spoon into a 2 x 1 litre freezer containers. Crush an amaretti biscuit over each batch. Cover and freeze. This is brilliant! I love a no-churn icecream and this one sounds absolutely perfect. What a gorgeous colour! Thanks Alicia. I was so pleased to have discovered this easy to make ice-cream last year, the possibilities are endless. 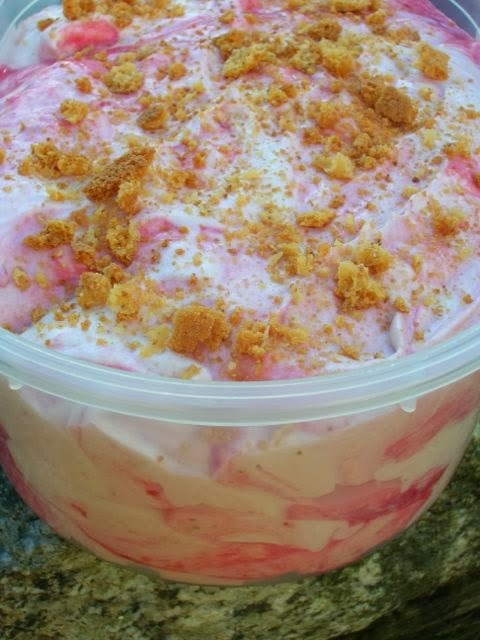 I love the ripple in this wonderful icecream.Its looks so delicious.I can virtually taste the sweetness , with the tartness of the plums and the crunch from the biscuits.Great flavours. I love the colour and biscuits scattered over the top. Haha, it’s so old, I’d forgotten that’s what it was Sarah, but you are absolutely right. Today actually feels like it’s ice-cream weather, so I can see more of this or something similar being made very soon. OMG! It looks is amazing, must taste super delicious! I love the look of anything “ripple”. I always over stir and ruin it lol. simply. stunning. 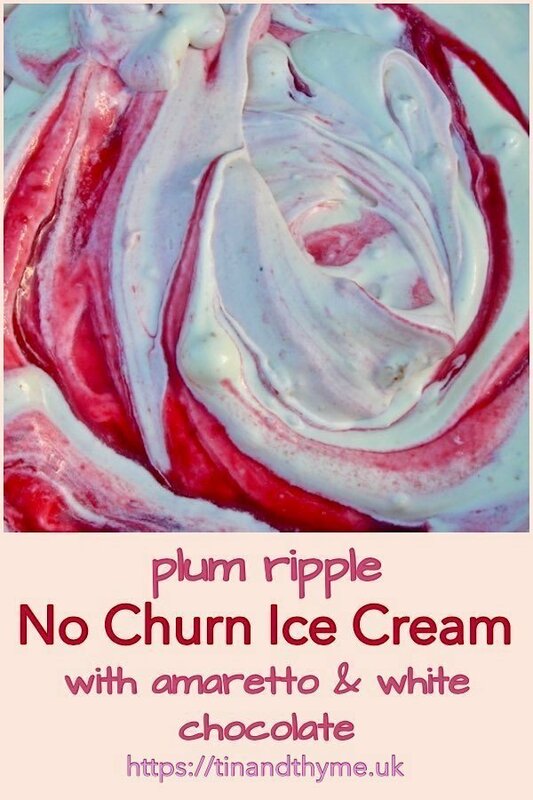 plum ripple, that’s just so chic… such a wonderful wonderful ice-cream! Thanks Lisa – probably not a good one for the kids. Ooh, I need to try this. Please do Victoria and let me know how you get on. I love the sound of this. If we finally work out when we are coming to Cornwall I shall expect a tub in a cool bag brought over for us to sample! Brilliant idea BUT when are you coming to Cornwall??? Oh my – that list of ingredients sounds completely delicious. Gorgeous pics too. Thanks Angela. I’ve just eaten some and it really is rather wonderful. What an amazing colour. This looks so good. I’ve never tried a no-churn ice-cream before. May just have to give it a go! Such pretty swirls and what a delightful recipe , sounds so so yum!! I am saving this for the summer! It looks so creamy and delicious! Oh gosh, there is so much going on in this ice cream, the combination sounds incredible! Not too much to make it delicious I hope Sue? Oh Chocolette, you have excelled yourself! Wish I could pop down to Cornwall to try some. As luck would have it I bought an Amaretti miniature this week, with no plan what to use it for….this could be the answer! The flavours of Amaretto and plum do work marvellously together CC. Thanks Aimee – it is a combination that I’ve found to be particularly good. It looks amazing, but I am not a fan of amaretti. I could always add some crumbled ginger nuts instead. It looks so lush! This looks delicious. 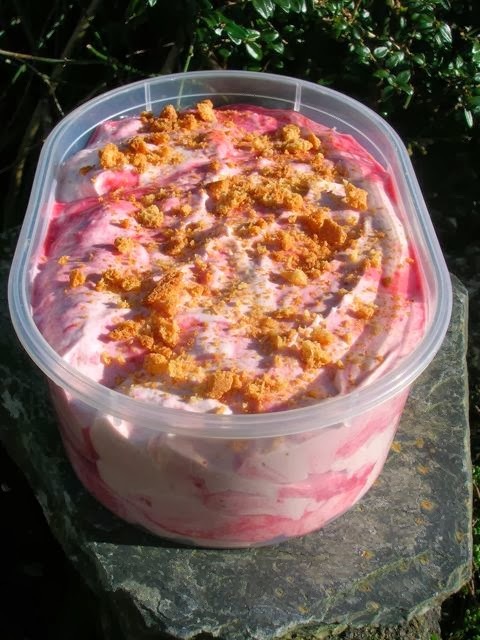 I love raspberry ripple ice cream so am sure I would like a plum version too, especially the addition of the amaretti to posh it up. I’ve made this ice-cream a number of times, but have used different fruits. This was the first time I used plums. They have all produced delicious ice-cream. Sounds and looks LUSH! And being that summer is almost round the corner I’m so bookmarking this one. The plums were scrumptious and summer maybe a way away yet, but at least spring has arrived – hooray. this look amazing and delicious I love plums!! Thanks Gloria, plums are delicious. I think this is the first time I’ve ever had them in ice-cream though. you wouldn’t believe, i was dreaming of making/eating ice cream. Mind was wandering from cointreau clementine to cherry rum…your ice cream looks so like in my dream one love! 🙂 Don’t be surprised if i make and blog! Thanks Deena, yes I think ginger would go well. Shortbread biscuits would be good to for something a bit more neutral. Looks divine and the flavours sounds great too, makes to think of summer too. Great #RecipeoftheWeek.